CID is set to launch the new illuminated i-blush Compact. The new addition consists of New CID's Sirocco highlighter and Ice Pop pinky blusher. 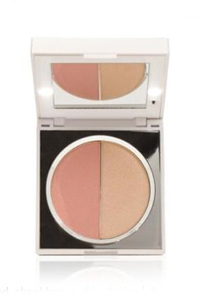 The compact will add instant radiance to the complexion and also includes a light and mirror to assist in application. It will be available from House of Fraser, Debenhams and http://www.newidcosmetics.com/ from May 2011 priced at £24.00.